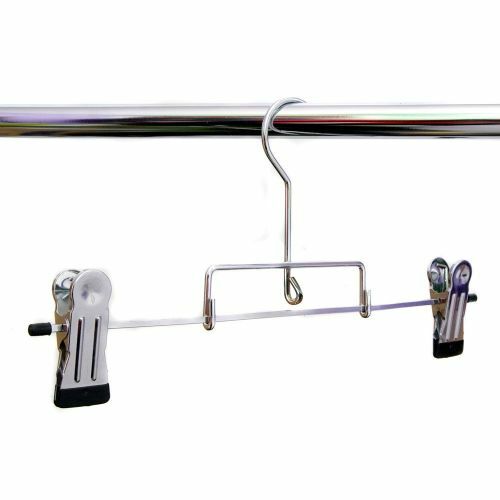 You Are Here Homepage > Clothes Hangers > Clamp & Clip Hangers > Deluxe Chrome Plated Heavy Duty Kilt Hanger with Large Extra Strong Clips. 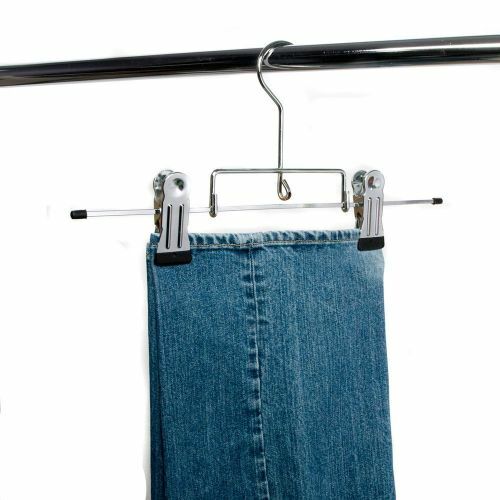 42cms wide with 3.5cms wide clips. 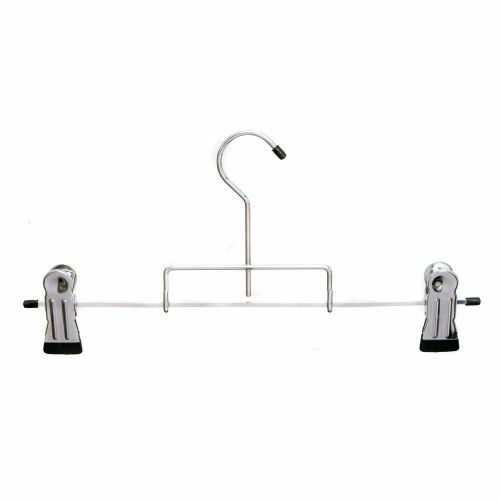 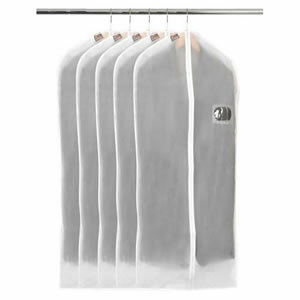 Buy Deluxe Chrome Plated Heavy Duty Kilt Hanger with Large Extra Strong Clips. 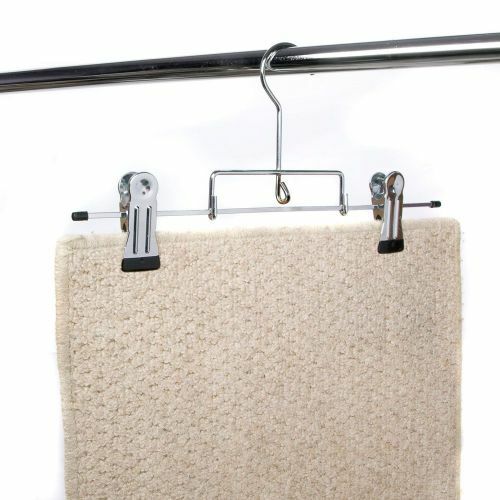 42cms wide with 3.5cms wide clips. 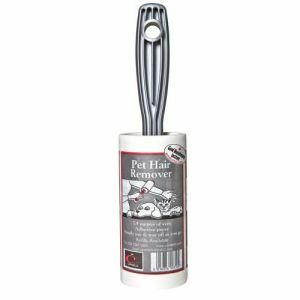 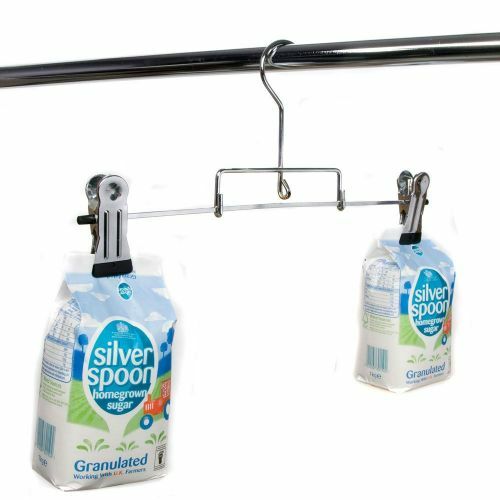 This is a substantial metal hanger with two really large & heavy duty extra strong clips. 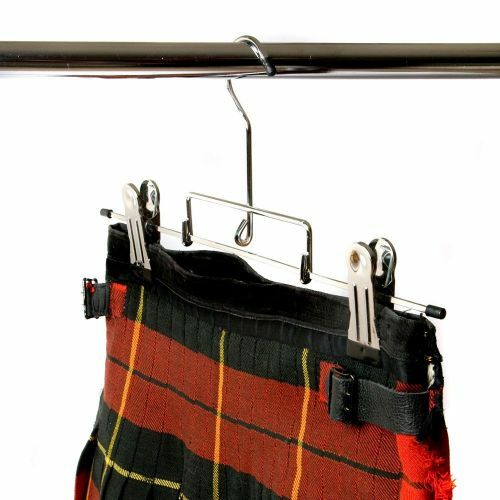 This hanger is ideal for Kilts & for many types of heavy trousers & jeans.